Pregnancy tests are laboratory quality. They can detect the hCG pregnancy hormone as early as 7 days after conception or 21 to 24 days after the first day of the last period. The test is 99% accurate. It needs to be established that the pregnancy is viable. 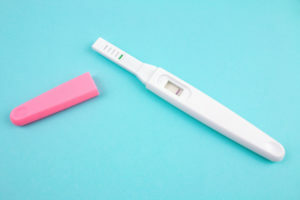 If a pregnancy test is positive, an ultrasound can be scheduled. We know that an unplanned pregnancy can create a lot of questions with no easy answers. We strive to fully inform our clients of their options and let them know they have multiple sources of support.